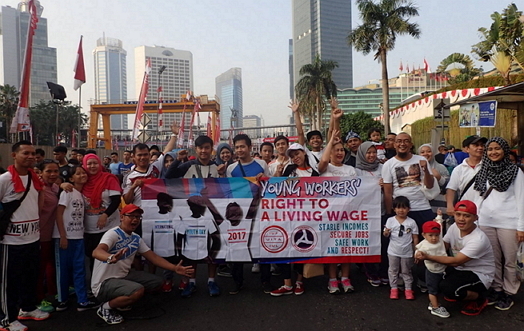 The IUF's regional living wage campaign aims to create greater recognition and support in trade unions and communities for better wages in secure jobs for young people in order to ensure their access to the right to food and nutrition, housing, education and good health. Crucial to achieving this is young workers organizing and fighting to win respect and dignity at work. 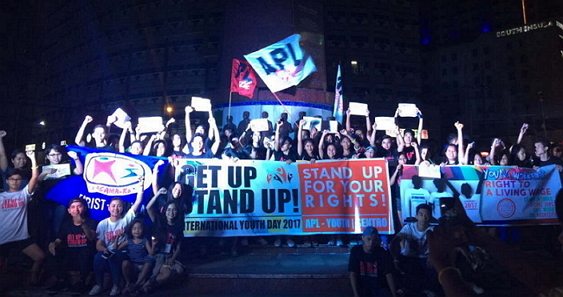 The fast food workers alliance Respect, a member of the IUF-affiliated SENTRO Food and Beverages Workers' Council, joined with the APL Youth-SENTRO in a two-day summit of youth representatives from diverse organizations August 11-12 in Manila.